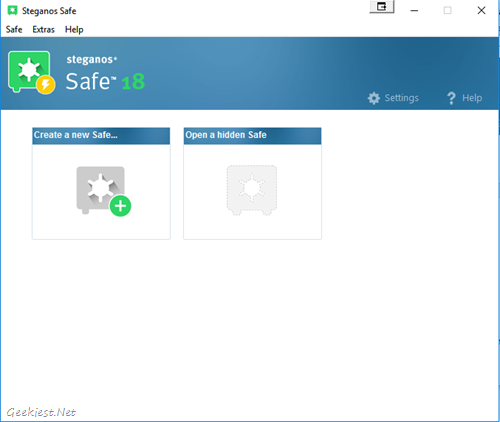 Steganos Privacy Suite 18 is a combination of Steganos Password Manager 18 and Steganos Safe 18. 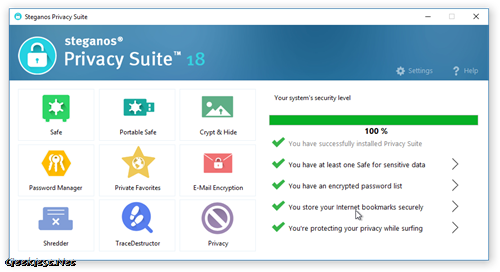 Also have some additional features which will be available only on the Privacy Suite 18. . The latest version have improved the features and also added new features like Webcam protection, Edge browser protection and also the Email encryption. 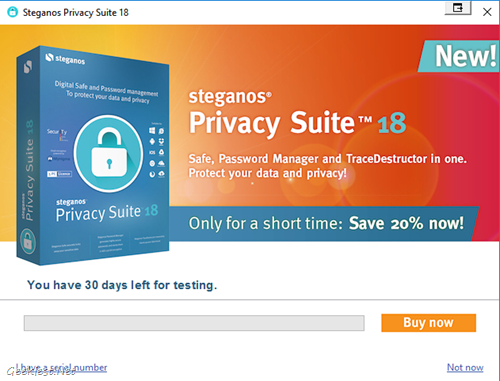 Steganos Privacy Suite 18 allows you to encrypt your files and passwords for better privacy and security, it have a password manager and also utilities like file shredder, trace destructor to save your privacy and make the files secure. 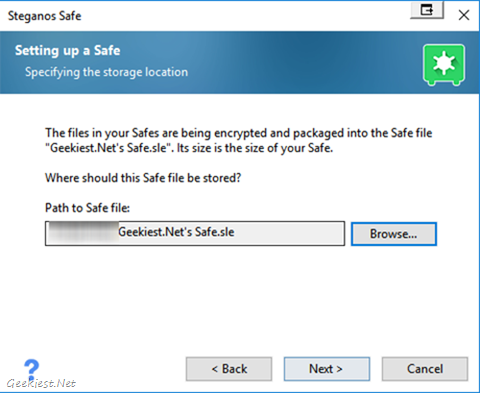 You can create Safes to store the encrypted data. 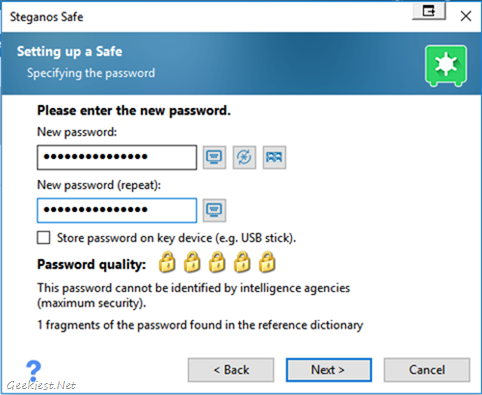 Portable – It helps to encrypt data on a portable device like Pen drive, external hard disc etc. which can be used on multiple computers. 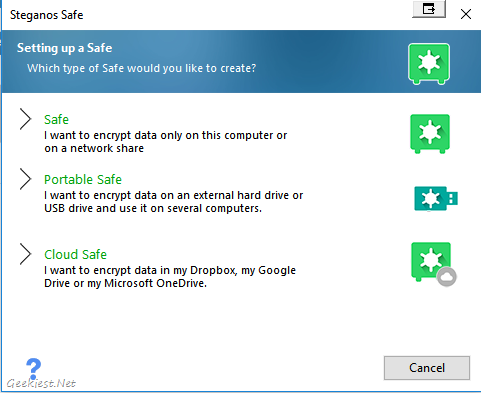 Cloud – You can encrypt data on your cloud storage space like DropBox, Google Drive and Microsoft One Drive. 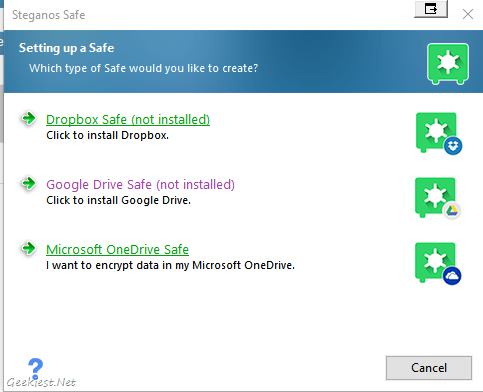 This application also allows you to encrypt and Hide files. It can add a file or text to Image (JPG, BMP) and audio (WAV) files. Privacy Suite 18 allows you to encrypt your emails with the help of Mynigma. Mynigma is an application available as an outlook plug in for Windows users or as an iOS application (Android application will be available soon) which will encrypt your email messages. 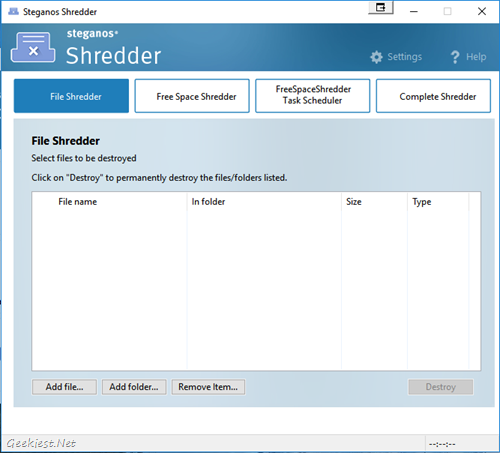 Shredder – It allows you to permanently delete files and folders from your computer hard disc. The files deleted with this will not be recoverable. 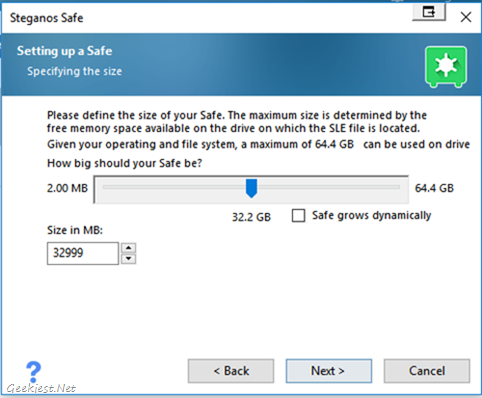 You can also shred the Free space to avoid recovering of the deleted files. Use the complete shredder if you are going to sell your hard disc. 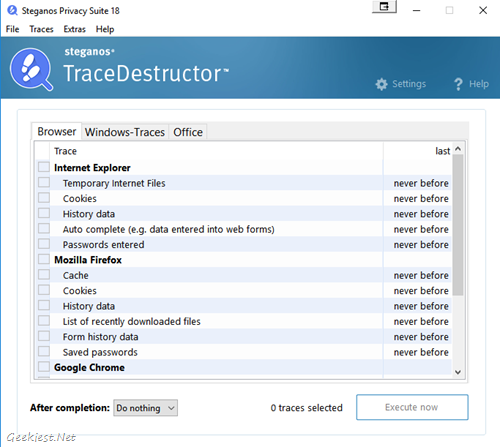 Trace Destructor – It will help you to remove traces of your Internet browsing and application usages. 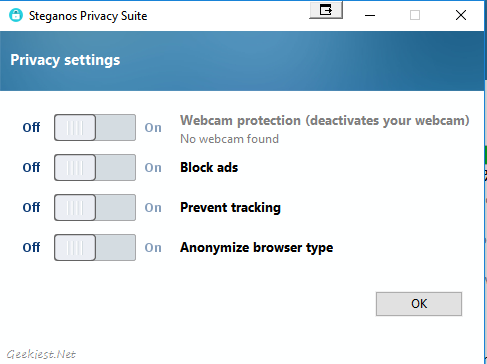 Privacy – Allows you to deactivate your webcam so that no one can use your webcam with out your knowledge. Privacy Suite 18 can also block Advertisements, prevent tracking and also can hide the browser type. Optimized Shredder for secure, irretrievable data removal! You can download a 30 days free trial from the website to test the application. 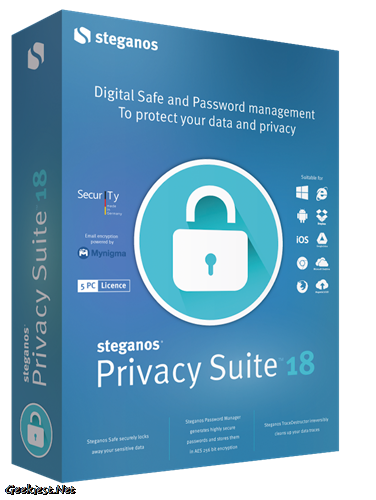 Steganos Privacy Suite 18 will cost you USD 59.95 (INR 3980.88) , while safe will cost INR 2386.93 and Password manager INR 1,589.96. 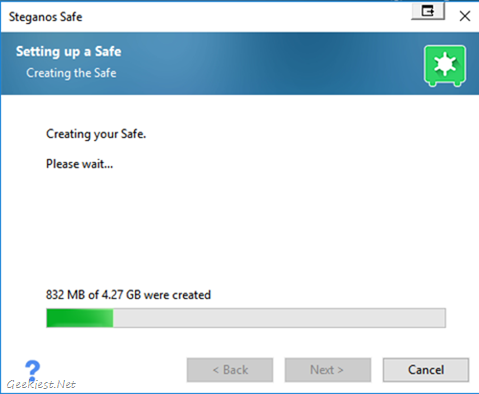 Last year we have posted about a giveaway of Steganos Online Shield VPN, now we have 5 full version licenses of Steganos Privacy Suite 18 for our readers (Thank you Julia Robin). Have a look on our other giveaways like Internet Download Manager, Ashampoo WinOptimizer etc.